Incredible things can happen when the right group of people are focused on a shared purpose, when they trust each other, and when they seek out opportunities to support each other’s work. For true systems change to occur, however, collaborations must identify and act on opportunities to affect the whole system. Doing so requires zooming out to grasp the big picture, and seeing the forest for the trees. It requires that participants address the root causes of problems, rather than just mitigate the symptoms. For example, by creating policies to reduce national carbon emissions, rather than building a higher and higher seawall. Providing young children with quality oral healthcare, rather than filling cavities later in life. Or expanding affordable housing and mental health resources, rather than opening a new homeless shelter. Addressing the root causes of problems requires that participants identify “leverage points” that impact the whole system, and address those leverage points in a strategic, coordinated effort that sustains over time. Leverage points are places in a system where, as systems theorist Donella Meadows has said, “a small shift in one thing can produce big changes in everything.” Leverage points are like acupuncture points — places where a finely tuned, strategic intervention is capable of creating lasting change, creating positive ripple effects that spread far and wide. Leverage points also represent opportunities where participants can have greater impact by working together than they can by working alone. In collaborative efforts we have worked with, common leverage points that participants have identified include increasing public awareness of the problem, securing resources as a network to continue or enhance their ability to collaborate, or drawing on the strength of their collective voice to influence public officials and policy makers. Once leverage points have been identified, participants in collaborations and networks can form teams to define and implement plans for how they will work together to affect the system. Participants typically engage when they feel they can have an effect, and where their organization’s priorities align with the shared priorities of the collaboration. The most effective collaborations help to operationalize these teams by equipping them with the necessary support and structure to accomplish their goals. Donella Meadows, in her groundbreaking book Thinking in Systems, identifies twelve places to intervene in a system. We’ve grouped these twelve leverage points into four high-level categories, in increasing order of effectiveness. Under each category we’ve provided examples of leverage points that could be addressed to tackle the challenge of slowing climate change globally. Increasing buffers, by planting trees along river beds to increase the degree to which streams can handle runoff. Expanding communication systems, by publicly reporting corporate emissions. Aligning shared goals of the system, by adding an environmental responsibility to corporations, in addition to their fiduciary responsibility. Expanding the system’s ability to transcend paradigms altogether, by creating meaningful opportunities where people are able to let go of their preconceived truths, their political positions, and their sense of otherness, and instead engage with those who may be very different than themselves. So how does one identify and select leverage points to pursue? 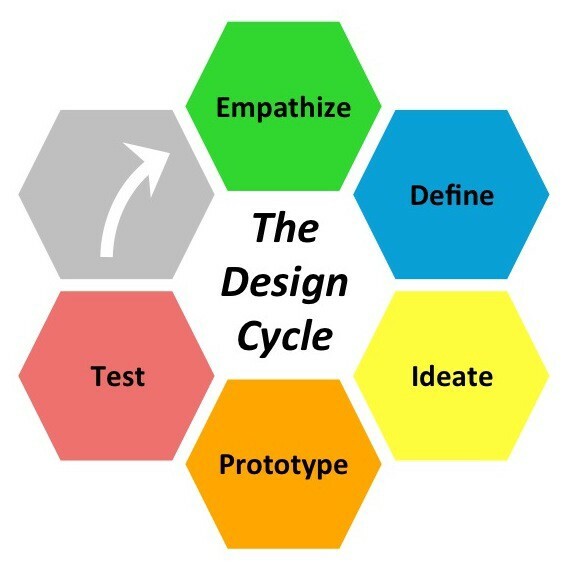 There are a few popular methods, including a comprehensive systems mapping approach that may take weeks or months, a rapid systems mapping approach to seed discussions and learning in the room, and a design thinking approach that can help participants move from ideation to prototyping. 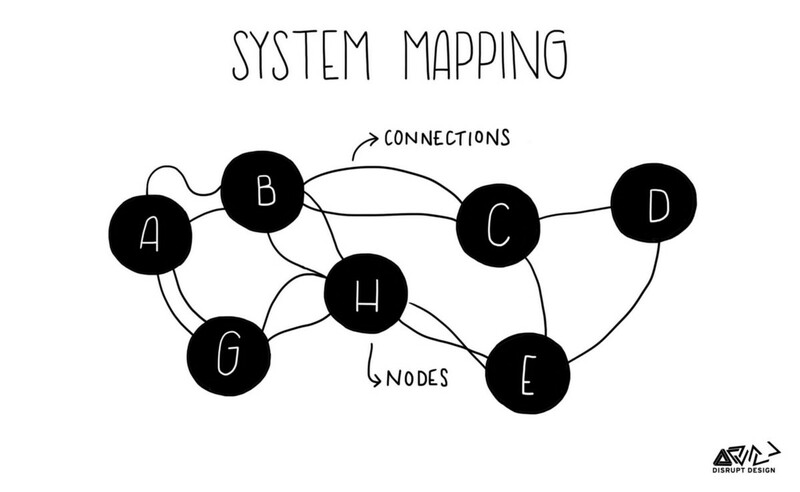 Systems mapping is used to visualize and analyze the factors that make up a system. In its most comprehensive form, systems mapping combines causal loop mapping with stock and flow diagrams, creating a detailed diagram that displays the factors involved as well as the cause and effect influences between them. For example, this systems map from the Academy for Systemic Change shows all the factors that influence the population size of juvenile and adult fish. 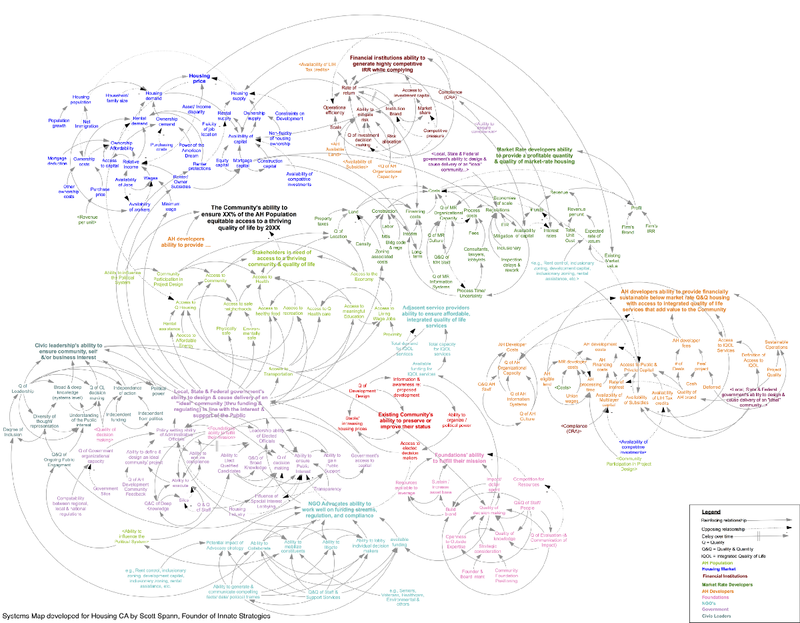 In some, but not all cases, systems maps can highlight points of leverage in a system. In particular, factors with a large number of outgoing influences (factors that influence lots of other factors), yet have few incoming influencers, are potential points of leverage. Then, once he has a clear idea of the 3–7 mutually exclusive and comprehensively exhaustive set of inputs that lead to the person’s goal, Spann ends with what he calls a “conditional close”: “If you have X and Y and Z, on a scale of 1–10, what is your gut sense that you will be successful in achieving your goal?” Spann uses the data he collects to populate a systems map using mapping software like Kumu or Vensim. The RE-AMP network, a collaboration of 175 nonprofits and foundations across eight Midwestern US states working on climate change and energy policy, used a systems map developed by Scott Spann to identify leverage points to address the goal of reducing global warming pollution economy-wide 80% by 2050. Through discussions and reflection on the map, participants identified four key levers critical to reaching the group’s larger goal. They would have to simultaneously 1) stop new coal plants from being built, 2) shut down existing coal plants, 3) increase renewable power, and 4) increase energy efficiency. As a result of their collaborative efforts, the RE-AMP network has helped retire over 150 coal plants, five states have implemented rigorous renewable standards, six states have adopted or approved energy efficiency resource standards, and the Network has re-granted over $25 million to support strategic climate action in the Midwest. 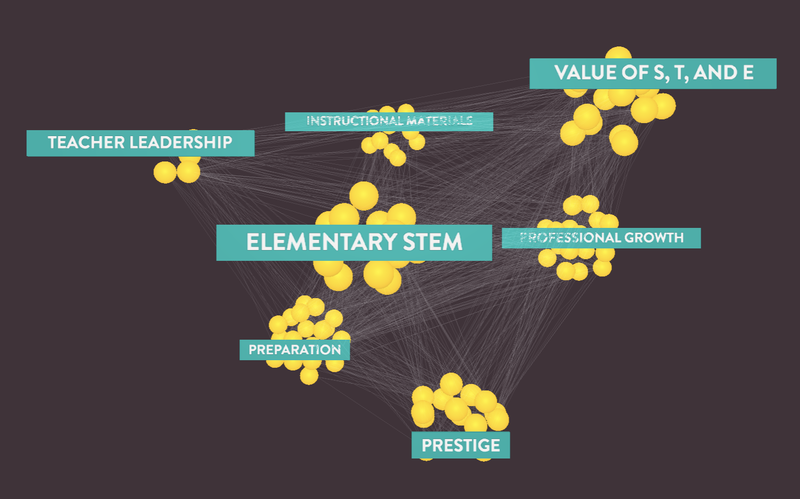 100Kin10, a collaboration of over 200 partners working to support STEM educators and train 100,000 excellent new STEM teachers by 2021, also undertook a comprehensive systems mapping process to guide its path towards systems impact. The extensive two-year process involved complexity scientists, systems mapping experts, and hundreds of teachers to identify over 100 critical challenges standing in the way of quality STEM learning for all students, and to assess the relationships between them. In the end, 100Kin10 identified six leverage points to achieve its goal: 1) raise state standards, 2) improve the quality of the curriculum, 3) expand financial support for STEM college majors, 4) develop accountability systems that promote teacher creativity, 5) increase the time available for professional development, and 6) increase the time available for teacher collaboration. For an interactive version of the 100Kin10 map, as well as an overview of the process used to develop it, see grandchallenges.100kin10.org/challenges. 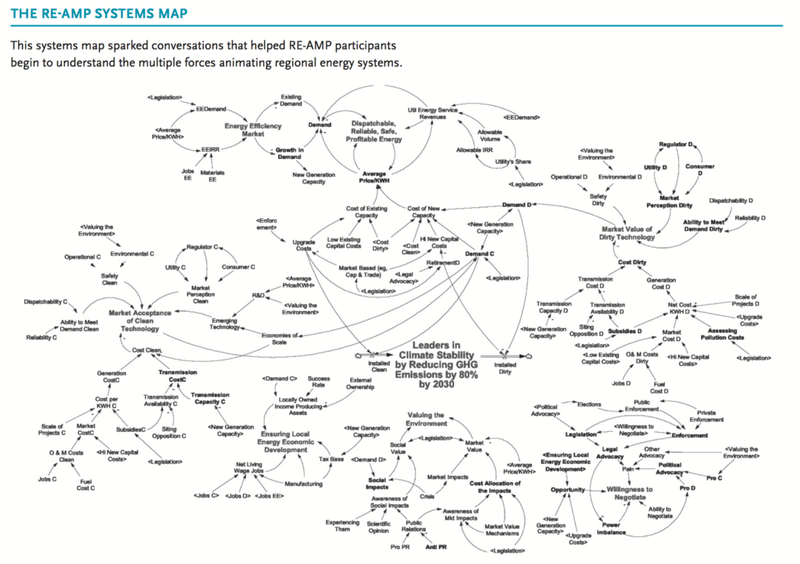 Given this, we recommend that collaborations start with a rapid systems mapping approach. This simpler and speedier approach engages participants to collectively map the system you seek to address through discussion, in the room, using a whiteboard or large flipcharts. To produce a rapid systems map, start by drawing a representation of your collaboration’s purpose at the center of a whiteboard or flipchart. Your purpose could be drawn as a geographic region, a population, or a person. When possible, it can be helpful for a group to do some preliminary thinking about the system prior to the meeting, and to provide participants with a simple diagram or template as a starting place to build from. Then, with input from the room, begin to draw the factors that influence or interact with your purpose. Use distance to convey frequency of interaction, and arrows to convey resource or information flows. Stay at a relatively high level without getting into the weeds. The goal is to tap the expertise in the room, seed a conversation, and seek shared understanding rather than perfection. Once participants run out of ideas and gaps of silence begin to lengthen, have participants pause, take a breath, and then pivot to hold a conversation about what they notice — what surprised them, what is revealed to them, what questions they still have, and what opportunities they see for intervention. This exercise will help network members “see” the system from multiple perspectives, uncovering the whole puzzle as opposed to just their piece. Empathize: Understand the people you aim to serve, “see” the world from their eyes, and consider what is meaningful to them. 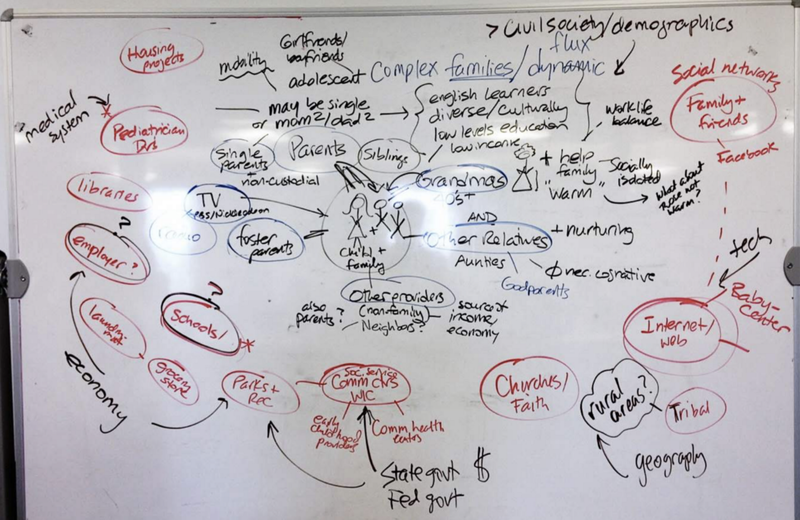 In addition to acting as an anthropologist and talking to people in the real world (which isn’t always feasible in a large group process), useful tools to empathize with the system include rapid systems mapping, scenario planning, and Community Voices. Define: Define your purpose or challenge in a single, focused sentence. Use the language “How do we…?” to frame it as a question. Prototype: Create quick and cheap examples that can be tested and refined by users. If physical prototypes don’t make sense, consider using a Tabletop Template that captures the idea, the leverage point(s) it would address, existing related efforts, key partners, resources required, challenges or bottlenecks, and a high-level timeline of the activities involved over the next 3 to 12 months. Once you’ve traveled through the cycle, rinse and repeat. The design process never ends — you should never stop trying to empathize with the people you aim to serve. As your understanding deepens, your potential solutions will become more refined. 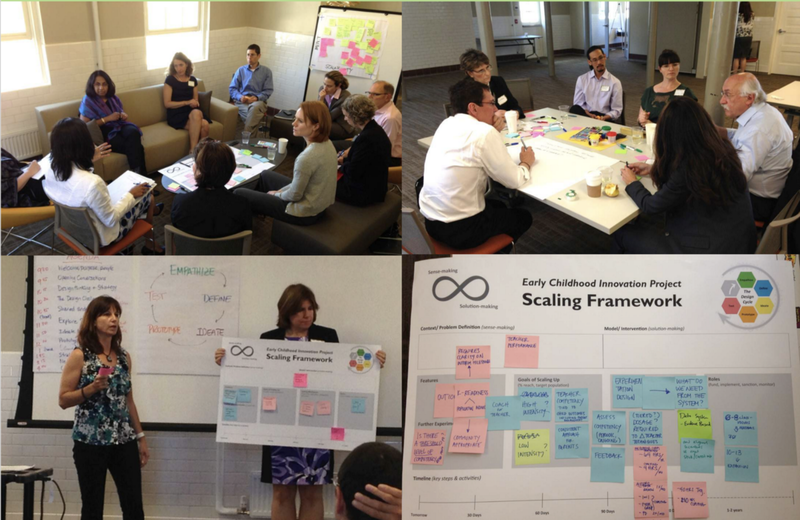 Impact: Clear positive outcomes, with the potential for scale. Doability: Right timing, available capacity, and potential for acquiring necessary resources. To use the tool, first split into groups of 3–5 people, and have them draw a 4 box matrix, with impact on the Y axis, and doability on the X axis. As participants ideate a possible solution, they write the idea on a sticky note, say the idea out-loud, and place that idea on the matrix. Participants should refrain from critiquing placement until the “Ideation” phase is complete. Once participants have finished ideating possibilities, the group steps back and discusses the matrix they have created. Debate placement and move around the ideas as necessary. The goal is not to seek perfection, but instead to create a conversation that will illuminate the benefits and drawbacks of possible ideas. Once the group has general agreement on the matrix they have created, select 3–5 ideas to prototype. Selected prototypes do not necessarily all have to come from the upper-right square — rather, they may come from any part of the matrix, as long as the group has energy to address them. When there are multiple groups, a whole-group report out is useful. 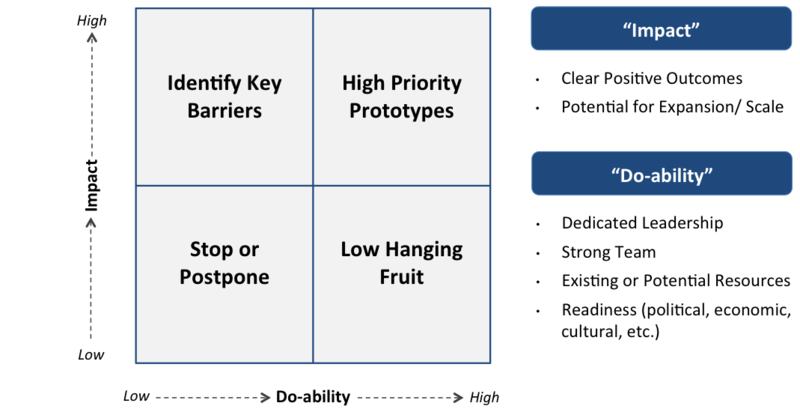 This exercise may be followed by an opportunity to self-select into collaborative groups to begin prototyping a set of priority interventions, using a tabletop template or conversation guide. Once you have developed one or more prototypes, first test them with the people in the room, and then get out into the real world and test your ideas with actual users. No idea will survive first contact with the user. Don’t expect your solution to be perfect, but do start somewhere, and learn, refine, and improve as you go.